Your affordable Garden Route holiday will start off with 4 nights in the beautiful ‘Mother City’. You’ll be staying in a prime location, with a variety of popular local restaurants within walking distance, and just a 10-minute drive from the city centre. Cape Town city centre is home to a wide variety of great restaurants, coffee shops and bakeries and the atmosphere is always buzzing. Those looking for a bit of a culture will also be happy to discover the wonderful museums and art galleries dotted around the city. A visit to Cape Town is not complete without a drive along the coastline towards Hout Bay, where you can stop off for lunch, or continue a little further and swim with the local penguins in Simon’s Town. We also recommend a day trip out to the Cape Winelands, where you can sip on some of the world’s finest wines, whilst taking in the views. We recommend that you skip the main highway and take Route 62 towards Oudtshoorn for the next part of your holiday. 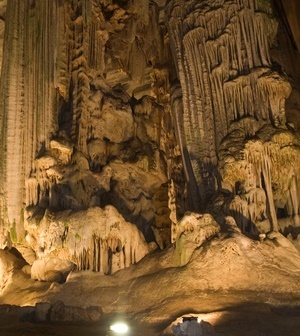 Oudtshoorn is well-known for the famous Cango Caves, and not to mention it’s very large ostrich population, leading it to be referred to as ‘the feather capital’. You’ll be staying on a working ostrich farm for 1 night and have time to explore the fascinating Cango Caves before setting off on the next part of your trip. On day 6 of your affordable Garden Route holiday you’ll head off along the beautiful Garden Route towards Knysna. The Garden Route is one of South Africa’s most beautiful scenic drives, so make sure to take in the views along the way. 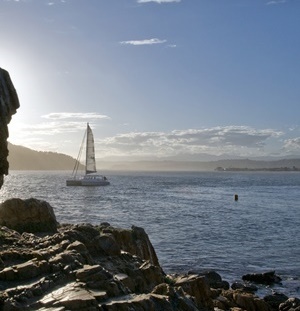 You’ll be spending 2 nights in the friendly town of Knysna, which offers a variety of activities, from shopping at Knysna Square market or walking in the indigenous forests to taking a yacht sail on the lagoon or paragliding off the heads. 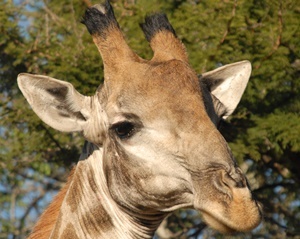 The final 2 days of your affordable garden route holiday takes you into the Eastern Cape, to the Amakhala Game Reserve. Here you’ll be treated to game drives and walks, which is one of the best ways to discover all that Mother Nature has to offer. Your stay here includes all meals, as well as local drinks. Arrival at Cape Town International, collect your hire car, driving the easy 30 minutes to Cape Town city. You have 4 nights here to use and we recommend taking a full day to explore the Cape Peninsula which includes Cape Point and the penguins. 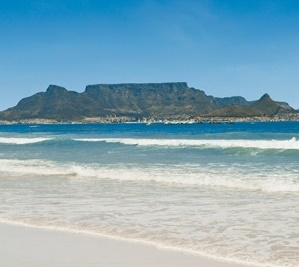 Table Mountain is a mustand you can also fit in a full day visiting the nearby Winelands area. The V&A Waterfront has a great atmosphere with loads of restaurants. Accommodation is at Sundown Manor which allows easy access to all the attractions and breakfast is included. After breakfast take the road to Oudtshoorn – we recommend travelling along the Route 62 taking you off the main highway. You will be staying on a working ostrich farm for 1 night just outside Oudtshoorn and have time to visit the Cango Caves. Accommodation is at La Plume including breakfast. Travelling to the Garden Route today where you will have 3 nights in the lagoon town of Knysna. This offers a great base to explore the area which offers loads to do. Take a walk in the indigenous forests, sample some fresh water oysters – unique to Knysna! For the more active there is paragliding or take a yacht sail on the Knysna Lagoon. Accommodation is at Cunninghams House inclusive of breakfast. The holiday gets a bit wilder today as you head to the Eastern Cape, spending 2 nights in a small and intimate owner run tented camp in the Amakhala Game Reserve. Arriving by lunch time you have time to settle in before heading off on the afternoon game drive. 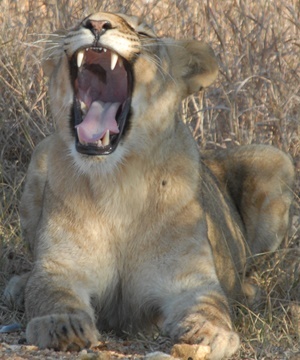 The following day would be a combination of either a game drive or game walk – with a ranger. This is one of the few places in this area that offer game walking. Quartermains Camp is your base and includes all meals, all game activities plus local drinks. International Flights: We have not included the international flights from London to South Africa as there are ongoing flight specials with flights costing from £680 – £1000+ per person return. Speak to us to find the best deal for your South Africa holiday. We guarantee that our prices are competitive! Important: Prices are to be used as a guideline only and are based on mid-season (Oct – April) subject to change as flight costs, peak seasonal dates, exchange rate fluctuations and special offers may vary. The exception to this is many of the safari lodges as well as neighbouring countries (Botswana / Mozambique / Zimbabwe /Namibia and Zambia), where they charge a peak rate from mid-July through to October as well as a peak surcharge over the Christmas / New Year period. Single supplements vary greatly from lodge to lodge and sometimes do not apply. Please email us for a more specific quote, tailor-made to suite your exact needs. All itineraries are samples and we are happy to build a tailored itinerary, swop accommodation around or include other areas to suit your exact holiday wishes. All Fleewinter holidays are 100% financially protected.